French waste and water group Suez SA has contacted "specialised funds" about possibly selling its debt claims to Argentina, the group announced Wednesday. The government has yet to settle debts with the French company for its termination of two contracts more than a decade ago, despite assurances given earlier last year that it would. After meeting with French President Emmanuel Macron in January, 2018, President Mauricio Macri announced that Argentina had agreed to settle the arbitration award in full. 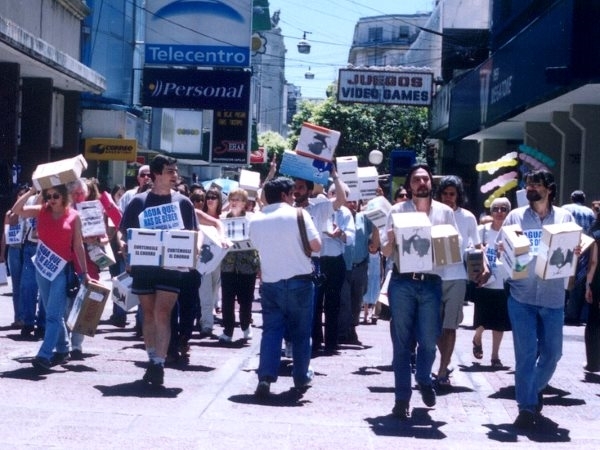 The dispute dates back to March, 2006, when the government of president Néstor Kirchner rescinded a contract with Suez, which had operated the management of water and sanitation services in Buenos Aires City since 1993 through its subsidiary Aguas Argentinas. Kirchner alleged that the French group had failed to comply with scheduled investments. The International Centre for Settlement of Investment Disputes (ICSID) arbitrated debts in favour of Suez in 2015, ordering Argentina to pay the company and its partners about US$630 million. The country owes close to US$405 million for ending the contract in the capital and a further US$225 million for a contract with Santa Fe City. But more a one year after Macri promised his French counterpart that Argentina would compensate Suez, Argentina’s commitment remains unfulfilled.The company has indicated it will soon take the “first step” in seizing the outstanding debt by filing a claim with federal court in the United States. "If our agreements and our discussions with the Argentine government do not advance, we will contact a certain amount of specialised funds [in order] to sell our debt," CEO Jean-Louis Chaussade said during a phone-in press conference earlier this week. Chaussade said Suez is dismayed that the debt resolution has been neglected by the Argentine government for so long. Suez booked double-digit 2018 earnings growth and expressed confidence this week that earnings would keep growing into 2019.